This page is the equivalent of the AFL's Hall of Fame. Listed below are past champions, their prize money, score and tipping percentage. 3rd: Elmo aka M. Watson, 654 pts, (not in prize pool). 1st: Anthony Aiello, 903pts, (not in prize pool). 2nd: John Longmire aka Jnr Bullock, 927 pts, (not in prize pool). 3rd: Craig Nettlebeck aka M. Smelders, 937 pts, (not in prize pool). 1st: Flopalot aka T Cornell, 691pts, Uglybustards T-shirt. 2nd: Arnold Layne aka T Watson, 735 pts, Uglybustards Executive Pen. 3rd: PETELEWIS, 748 pts, 3rd choice Uglybustards Coffee Mug. 1st: The Lace aka S.Evans, 542pts, Uglybustards Coffee Mug. 2nd: DrBB aka B.Bernado, 583 pts, no Prize Pool entry. 3rd: Sam Griggs, 585 pts, Uglybustards Executive Pen. 4th: glen mcphee, 606 pts, no Prize Pool entry. 5th: Andy aka A.Ejubs, 616 pts, Uglybustards T-shirt. Deb Smith, Trent Mayne. 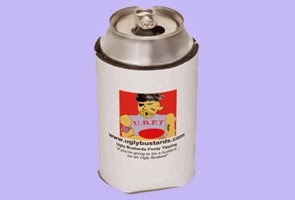 Uglybustards T-shirt and stubbyholder each. 1st: Uglybustard aka M.Rofe, 616pts, Executive Pen. 2nd: David Feck'em, 636 pts, no Prize Pool entry. 3rd: Iain Johnson, 676 pts, Beer Bag. 4th: Rod Carter aka R. Bullock, 680 pts, T-shirt. Margin: powerful aka K. Hentschke, 562pts, carton of Broo Beer. Jackpots: Rod Carter $30; powerful $25; gonadbreath $20; Griggsy $20; Iain Johnson $15; Longee $15; Cowboy $10; BecCG $2.50; Quokka $ 2.50. Double Passes to The Laugh Garage: Rod Carter, Zenben, Iain Johnson, powerful. Spot Prizes: BecCG, carton of Broo Beer. Cowboy, you-beaut Uglybustards T-shirt. Margin: Griggsy aka B.Griggs, 688pts, pack of Viewpoint Playing Cards. Jackpots: Uglybustard $70, Rod Carter $15, Quokka $15, BecCG $15, Longee $10, Griggsy $5. Margin: Cusho aka D.Cushion , 679pts, Double Pass to The Laugh Garage valued at $50. Jackpots: Uglybustard $45, Stuart Maxfield $30, littlebustard $15, Gary O'Riordan $10, Cusho $10. Finals: Cleverbustard, 8 winners from 9 finals, 114 margin. Double Pass to The Laugh Garage valued at $50. Margin: Cowboy Junior, 640pts, no prize this year. Jackpots: BecCG $80, Rod Carter $70, gonadbreath $20, Criminal bustard $10. Margin: Andrew Kelly, 574pts, $368 Accom. Jackpots: Rhino $90, Hird5 $80, Andrew Kelly $40, Uglybustard $10. Margin: Cleon aka M Pringle, 556pts, $368 Accom. Littlebustard (482pts) did not enter prize pool. Jackpots: Rhino $100, The Boot $120. Margin: Mick Nolan aka I Bare , 566pts, $368 Accom. Jackpots: Tammy Love $120, Cleon $30, BecCG $40. Margin: Stu Maxfield aka T Watson, 551pts, $368 Accom.